Doesn’t Father’s Day come at just the perfect time of the year? Just when we’re itching to hit the beach and never leave, we have a perfect excuse to buy beach equipment and beach party paraphernalia and all in the name of how much we love our Dad! Did you hit up the beach yesterday and realize that there are a few things that would make you (I mean, Dad) a little more comfortable? Would any of these have made Dad a happier camper? 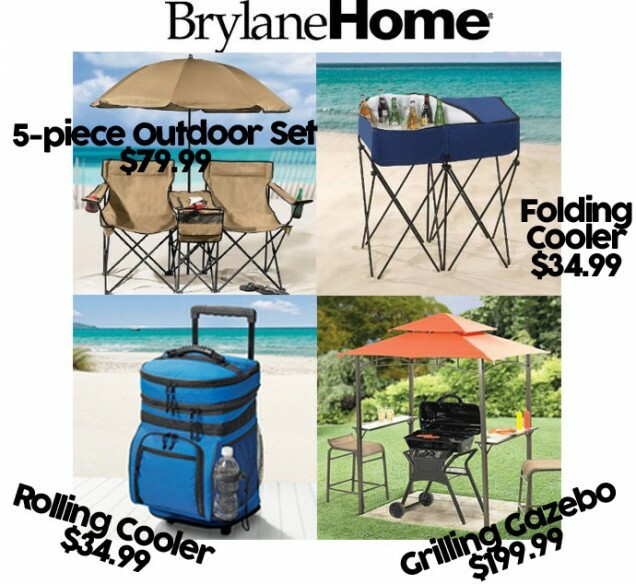 Brylane Home is FULL of these sorts of gifts and household goods that would be perfect for all of your outdoor parties, events, get-togethers, and totally chill afternoons. From coolers, to folding chairs, to outdoor furniture, you’re sure to find exactly what Dad would love. Just imagine how his eyes will light up when you buy him some grilling equipment or a grilling gazebo! We followed the crowd hit the beach yesterday and enjoyed the gorgeous weather here in Boston. 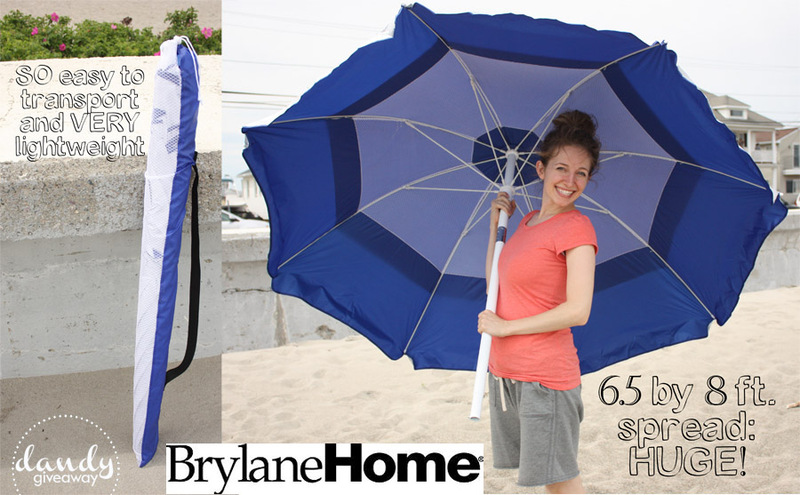 Brylane Home so generously sent us the Tilt & Crank Beach Umbrella with Carry Bag to review, and even though it wasn’t an extremely sunny day, this was just the ticket. This umbrella will get used literally dozens and dozens of times this summer and beyond! I’ve been hesitant about purchasing a beach umbrella in the past based on how big and heavy they look, especially if I ever want to bring it to the beach when I’m alone with my running toddlers. How on earth am I supposed to carry a giant umbrella AND all our beach bags? This collapsible umbrella comes in a carry bag, which solves all my concerns. The mesh bag and plastic components make it extremely lightweight, while the metal center post keeps it strong. 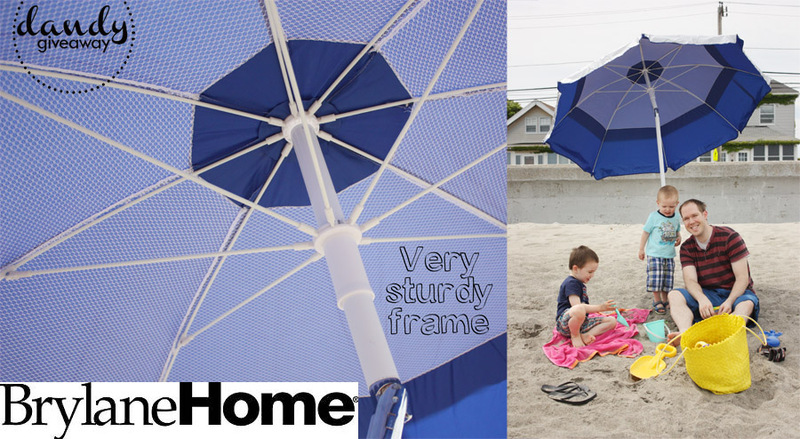 The opened dimensions of this umbrella 6½’ x 8′, which is a terrific spread. 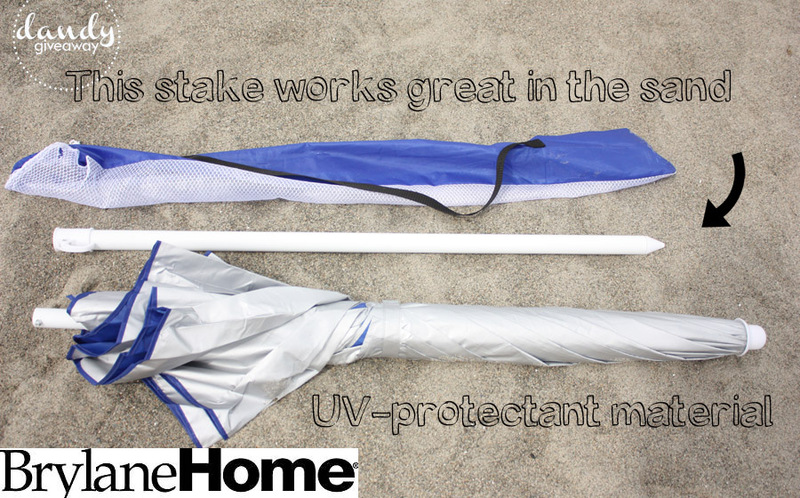 This umbrella is easy to stake into the sand (or soft ground if you wanted to try this at any other outdoor event) and features a push button tilt so that you can follow the sun and get a perfect amount of shade for your whole family. It has a double vented top with breathable mesh panels that actually help to keep it more stable since air can flow through it without lifting it off the ground and blowing away. Very smart design. This umbrella is sold for $34.99, which is extremely reasonable. If your Dad is a beach-lounger, this could be just the ticket. Pick out something beach-worthy for your Dad this Father’s Day! Ditch the traditional tie or a mug this year!